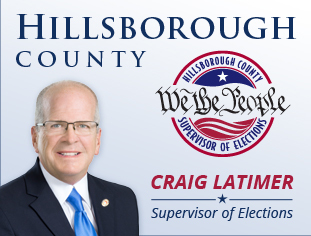 Here at the Hillsborough County Supervisor of Elections Office, we’re extremely proud to be able to help our citizens engage in our democracy. Our employees are dedicated professionals who work well together and provide exceptional customer service to our community. We support our employees with benefits, workplace policies, training and tools designed to provide for their success and well-being. Would you like to join the team that's working to make Hillsborough County the best place in America to vote? Visit this page periodically to see if we have posted any career opportunities. There are currently no full-time openings. Periodically during the election cycle, we hire temporary employees to assist in different departments. If you're available for short-term work and want to be part of something important in our community, contact one of these staffing agencies and tell them you'd like to help the Hillsborough County Supervisor of Elections Office!